This looks very promising for Clan use and gameplay. We will be watching for more intel on the new Rainbow6's Clan Support. Rainbow6 is due to release sometime in 2015. Developers at Ubisoft are rebooting the Rainbow Six series with a “multiplayer first” approach and focus on smooth 60 FPS gameplay, said game designer Andrew J. Will during a recent gameplay Rainbow Six Siege live stream at their Montreal studio. The multiplayer action first debuted at E3 2014 with a scripted 5 vs. 5 game of Hostage Rescue, a one-life-to-live game mode that tasks a counter-terrorist unit with breaching a terrorist stronghold while securing and rescuing a hostage and using the environment to their advantage. The match is split-up into two phases: the Planning and Action phases. Will says the Planning stage in Siege pays hommage to classic Rainbow Six games like Raven Shield where hard decision making, scouting, and observing all play an important role in the experience. He added that that philosophy will carry over to both single player and co-operative modes, which the studio had no further news on. During the live stream, two teams led by gameplay programmer Adam Crawley and lead level artist Chris Hendry went head to head in a full unscripted game of Hostage Rescue. Each match presented a look at some of the weapons, gadgets, gameplay tactics, and types of destruction that Siege will offer. 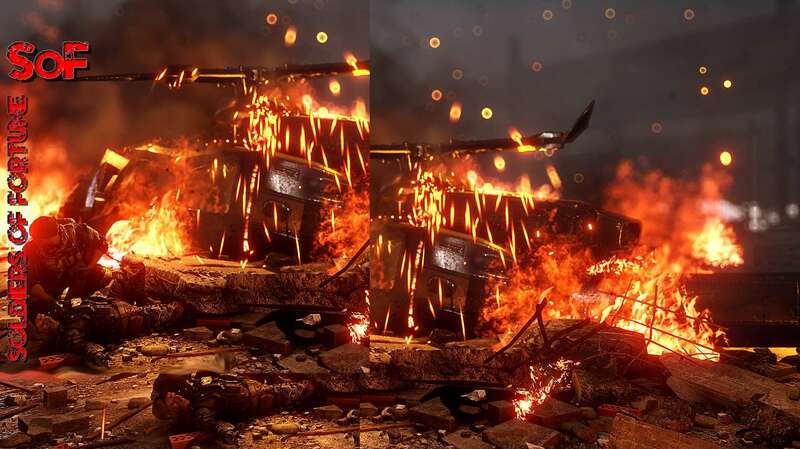 Will says destruction in Siege is categorized by material, meaning some surfaces will break down differently than others and in a realistic manner. Players will need the right tool for the right material. He added that the decision to go with no respawns was in an effort to add to the tension of each match and place more importance on every decision made and every team member. Siege will offer a diverse range of gadgets appropriate to each faction, and along with weapon options like Assault Rifles, SMGs, and Pistols, the studio plans to introduce a few “throwback” to please veteran fans of the series. At the moment, the dev team is still tweaking the Siege’s gunplay to behave somewhere in between classic Rainbow Six games and more modern shooters. The recoil and bullets spread seen in the live stream are still a work-in-progress, according to Will. But, don’t take our word for it, catch the entire live stream replay below, and be sure to leave your thoughts in the comments! If you missed it, you can also catch Rainbow Six Siege’s latest gameplay trailer right here. Rainbow Six Siege launches on Xbox One, PlayStation 4, in 2015. The game looks pretty good but Im more eagerly waiting for some COOP Terrorist Hunt gameplay. Surely they will introduce TH, right ? There's only two things I would say need changing as of yet. First off, it would be nice to have the buttons for vaulting and repelling separated. Also, they really need to fix the fact that guns poke through walls. In an environment where everything is close quarters, it's a big game-changer to be able to see your enemies through walls. Other than that, the game is looking really good so far. Great tactical play and aesthetics. Looks good, but does it really need to show "3 vs 4" when there are tiles above which show how many players are left? I don't think this game is going to be very fun. Of course, as presented, it looks fun. But as I raised the question at E3 - Is it fun to play with morons? The people we're playing against will be morons. They won't be strategically placed around the map like these people are doing, they'll be running around full sprint around the house spraying their guns. Can the game survive with that kind of player a) on my team, and b) on the enemy team? This looks like a game that is designed assuming with full faith that players will play "the tactical way." I'm thinking this game will be specifically eSports and clan stuff. I actually see this game having Rainbow Six regress out of mainstream gaming(not necessarily a bad thing all thing considered) and back into a closed, tactical niche. Thinking about that scenario makes me laugh and cringe at the same time, because that's what will happen. You'll have the majority of your games ruined by mindless idiots. I could see this Rainbow Six game becoming a new type of Esports. Usually in the competitive scene though they take away a lot of what makes the game an actual game, so I'm not sure how it could fit, but it would be great to see it evolve into something like that. I wish more games would follow Insurgency and Rainbow Six Siege with the whole no respawning, dedicated to actual stratedgy and tactics than the usual run and gun lone wolf 420 blaze it style we see in Call of Duty and Battlefield. While those games aren't wrong, and are fun to play, I'd like to see a plethora of milsim tactical shooters back on the market, especially on consoles. I still play Gears 3 every day if that counts lol. And to be fair, CoD does have search and destroy mode (one life). That used to be the only mode I played back in the MW2 and Black Ops 1 days. I'm glad I gave up on CoD though heh heh. They have their respective modes, but they fail the whole milsim category. Insurgency is great example to go by, and I think if they tailored some game types to those type of mechanics(extreme recoil, no auto reload, one life unless an objective is taken) than they could pull in a larger audience. Tactical shooters were the mainstream shooters in the early to mid 2000's, Then the success of call of duty came and arcade shooters are very popular now, I understand that BF was never milsim shooter but earlier in the series IMO, it did have a nice learning curve that has been killed since BF3, and somewhat watered down with the BC's.BF used to be authentic which is in the middle of arcady and milsim but now its just arcady. I think Battlefield is still authentic in most aspects. But they want it to be fun and fair, and sometimes you can't have realism and fair in the same game. Did you just use "milsim tactical shooter" and "consoles" in the same sentence? Too funny. If a kid wants a Happy Meal and you offer him filet mignon, he's going to insist on the Happy Meal. Get lost. Don't start a console war here. How is platform at all relevant to this discussion? Are you implying that only kids play on consoles, thus making milsim shooters improbable? What's funny about it? Last time I checked you didn't need a mouse and keyboard to play a realistic game, so I don't see what the problem would be. Well I'm asking for filet mignon, so are other. Looks awesome! Can't wait to play it.